In early March students at Mills River Elementary School in Henderson County sampled spinach smoothies as a part of the school’s ‘Jump Rope for Heart’ day. 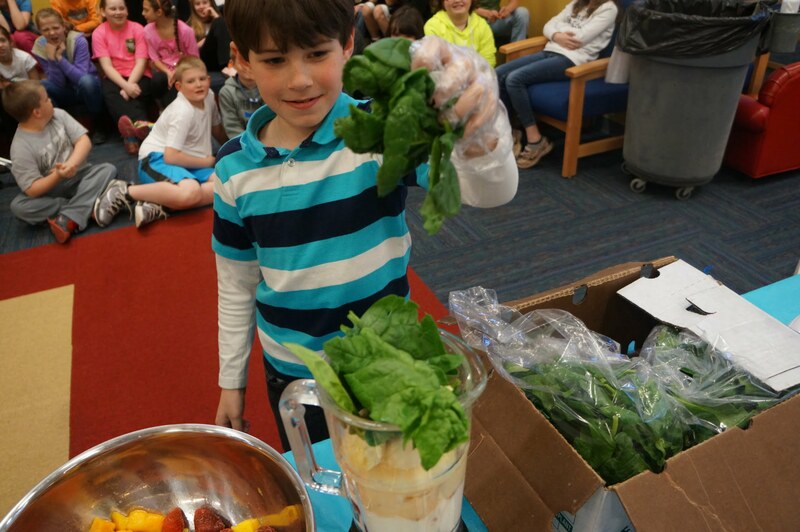 Throughout the day groups of kids cycled through the gym, where they set new jump rope records; and the media center, where they made green smoothies! The recipe was given to teachers to send home and many students report that they look forward to making the tasty treat with their parents and siblings. Ready to mix up a green smoothie of your own? Check out the recipe below! Add all ingredients to a blender. Mix thoroughly and enjoy! The event at Mills River was funded through a USDA Farm to School grant.